BRISTOL IN THE 18th CENTURY In the 18th century Bristol was heavily involved in the slave trade. Manufactured goods from Bristol such as woollen cloth and brass and iron goods were given to the Africans in return for slaves. The slaves were then transported to the West Indies of North America and sold. The ships then took tobacco, sugar and rum back to Bristol. So the trade formed a triangle. Also in the 18th century timber was imported into Bristol from Scandinavia, mainly for shipbuilding. In the 18th century glass and shipbuilding thrived in Bristol. So did a chocolate industry. Some of the tobacco imported from North America was made into snuff in windmills. The metal industry made cannons, chains and anchors. There was also a large brewing industry in Bristol. In the 18th century coal was mined within the boundaries of Bristol. In the 18th century Bristol grew rapidly. The population was probably about 25,000 in 1700. It rose to about 50,000 by the middle of the century. By 1801 Bristol had a population of 68,000. Many new streets were laid out in Bristol. Queen Square was built in 1702 to commemorate the visit of Queen Anne to Bristol. Prince Street followed it. So was James Square and Orchard Street. Later Unity Street, College Green, Cornwallis Crescent, Hotwells Crescent, Windsor Terrace, Portland Square and Berkeley Square were all built. However in this century the rich moved out of central Bristol and went to live in Clifton. Bristol Royal Infirmary was built in 1737. Bristol bridge was built in 1768. Tolls were charged for using the bridge. The council promised these tolls would be scrapped in 1793. When they were not the result was rioting which left several people dead and many more wounded. BRISTOL IN THE 19th CENTURY In 1801 the population of Bristol was 68,800. It continued to rise rapidly in the 19th century and reached 266,000 in 1881. However more riots took place in Bristol in 1831. At that time the House of Commons passed a Great Reform Bill. It would give rapidly growing Bristol more MPs. However the House of Lords rejected the bill. One of the most outspoken critics of the bill was Charles Wetherall, Recorder of Bristol. He returned to Bristol on 29 October and crowds stoned his coach. The next day a full-scale riot began. About 100 houses were burned including the Bishops Palace and the Custom House. The riot ended the following day, 31 October, when troops were ordered to crush the riots. The Bristol riots left several hundred people dead. In 1835 Clifton was made part of Bristol. Meanwhile amenities in Bristol were improved. In 1806 an act of parliament formed a body of men with powers to pave, clean and light the streets of Bristol (at first oil lamps were used to light them but after 1818 gas was used). Like all towns in the 19th century Bristol was unsanitary. As a result there were epidemics of cholera in Bristol in 1832, 1848/49 and 1866. The Guildhall was built in 1843 and a waterworks was built in 1846 and over the next 20 years a piped water supply was extended to the whole of Bristol. In the 1850s a network of sewers was dug in Bristol. Meanwhile Bristol port continued to flourish. In 1804-09 a floating or tide less harbour was built where the water was kept at a constant depth. It was connected to the Avon by dock. In 1848 the council took over the docks. In 1877 new docks were built at Avonmouth. More were built at Portishead in 1879. Bristol was connected to London by rail in 1841. It was connected to Exeter in 1844 and Plymouth in 1848. Clifton suspension bridge was built in 1864. After 1874 horse drawn trams ran through the streets of Bristol. In 1895 the first electric trams began running. Two famous ships were built in Bristol in the early 19th century. The Great Western was launched in 1837 and the Great Britain was launched in 1844. The Cabot Tower was built in 1897 and in 1899 the mayor of Bristol was made a Lord Mayor. In the 19th century the copper, brass and glass industries in Bristol went into decline. On the other hand shipbuilding boomed in Bristol. So did the chocolate industry and soap making. The tobacco industry in Bristol also thrived. In the later 19th century there was also a cotton industry in Bristol. BRISTOL IN THE 20th CENTURY By 1901 Bristol had a population of 330,000 and it continued to rise steadily. Meanwhile the Royal Edward Dock was built in 1908. Bristol University was founded in 1909 and its main building was erected in 1925. In the 20th century Bristolâ€™s greatest industry became aircraft manufacture. Other industries in Bristol were chocolate, tobacco, engineering, chemicals, zinc, furniture and pottery. Moreover Bristol continued to be an important port in the 20th century. Royal Portbury Dock was built in 1977. During the Second World War 1,299 people in Bristol were killed by German bombing. About 3,000 buildings were destroyed and 90,000 were damaged. After 1945 the council built many new houses on the outskirts of Bristol to replace them. Furthermore the Council House was built in 1956. Arnolfini Art Gallery opened in 1957. The Robinson Building was erected in 1966. A polytechnic opened in Bristol in 1969. In 1992 it became the West of England University. Meanwhile Clifton Roman Catholic Cathedral was built in 1973. 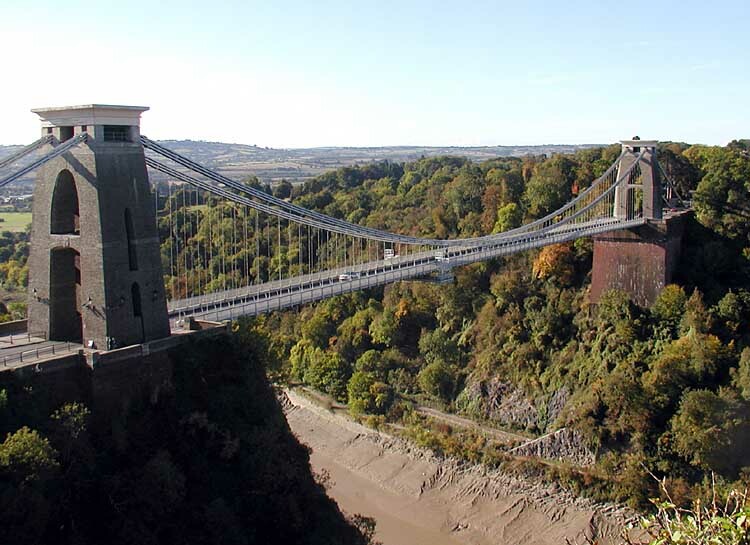 In 1970 the Great Britain was brought back to Bristol and work began on refurbishing it. Bristol Industrial Museum opened in 1978. At the end of the 20th century Bristol continued to develop. Watershed Media Centre opened in 1982. In 1985 a statue of John Cabot was erected on Narrow Quay. The Galleries shopping centre was built in 1991. A new bridge was erected over St Augustines Reach in 1998. Today the population of Bristol is 441300.